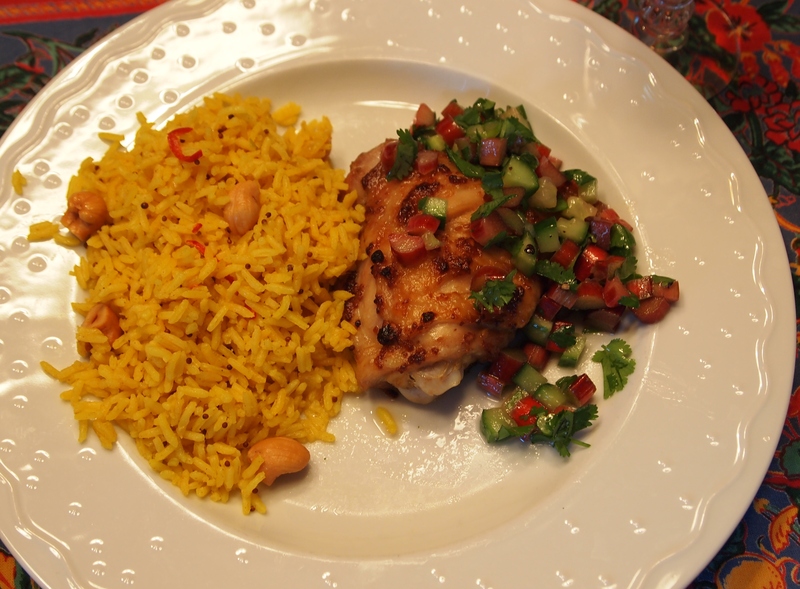 This recipe was in the same April 2012 issue of Bon Appetit as the Spicy Chicken with Rhubarb Salsa and looked to me to be the perfect accompaniment – and it was! This was fairly easy to make and I have a hunch it will be in regular rotation along with our other favorite rice sides, Green Rice and Sparkle Rice. All three are great served with chicken and fish. Heat the oil in a heavy medium saucepan over medium heat. Add the mustard seed and tumeric and cook for 1-2 minutes, stirring, until the mustard seeds start to pop. Add the onion, garlic and the chile and cook for about 5 minutes, stirring constantly to make sure the tumeric doesn’t burn. Add the rice and stir to thoroughly coat. Add the lemon peel, the liquid and the salt. Bring to a boil, turn down heat and simmer over low heat until the liquid is completely absorbed, 15-20 minutes. Remove from heat and stir in the lemon juice. 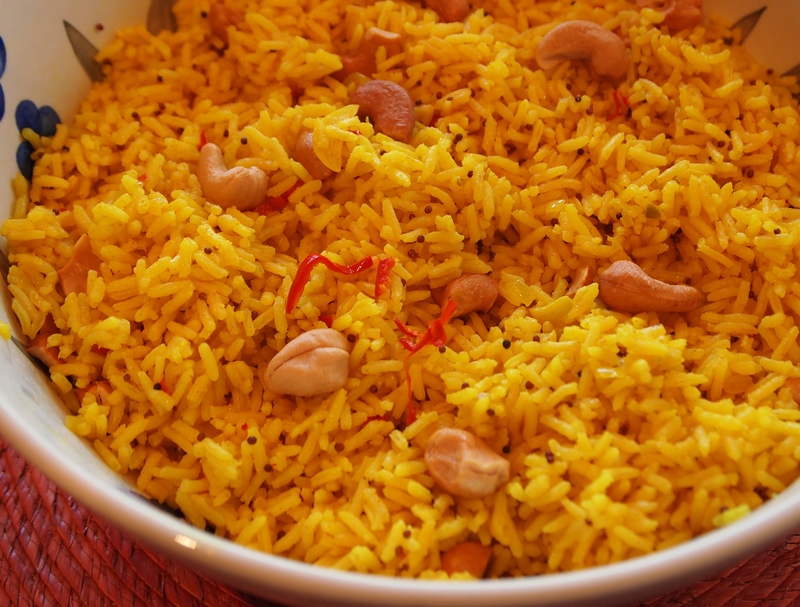 Let stand 10 minutes, then fluff with a fork and stir in the cashews.